Despite the fact that the weather was less than warm this weekend, I was determined to partake in some essential summer dining - seafood. 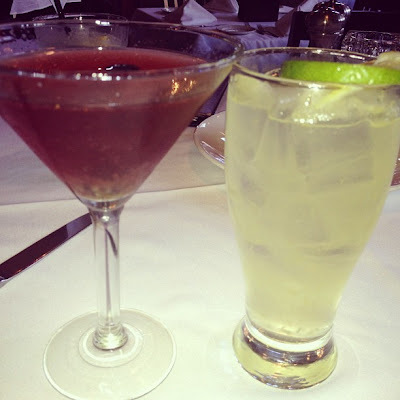 We headed to TAPS Fish House & Brewery in Brea, Orange County, California) to get our fix. My friend had never tried oysters before and I had only had them once (last month when I went to New Orleans I had a fried oysters po' boy sandwich) so we both decided to try the Oysters Rockefeller. The version we tried were topped with spinach, hollandaise sauce, and bacon. Um, I have been missing out! They are delish! I also ordered the lobster and shrimp role, my friend chose the ahi tuna burger, and we both got a cocktail. The prices are a little on the high side - our split lunch check was $33 per person before tip - but totally worth the splurge. And if you're looking to just get out and get a drink, there are over 30 styles of ales and lagers on the menu. If you live in Southern California and find yourself in Brea, I recommend TAPS Fish House & Brewery. P.S. Because I didn't get my last Man Candy post up this week, look for one more link up next week. It's the last time I'll be hosting the bloghop so stop by and join the fun. 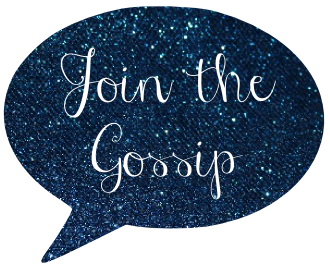 I hope you'll blog about your man candy of the moment and link up! Pictures like that make me wish I liked oysters. I think I'll just take the cocktail and let everyone else enjoy the food! Yum! That looks so great!! Dang it, now I want sea food! I love oysters and they say its also an aphrodisiac. Yum! Those oysters look so yummy. Yummy! I never tried oysters but I was very curious to try these ones and the name... Now I'm curious why Rockefeller? im not a huge seafood person but it does look good! 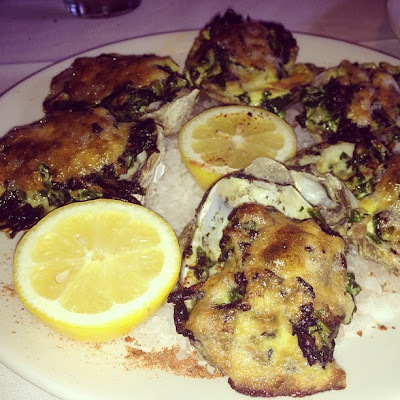 I've never had Oysters Rockefeller either! It looks absolutely amazing... and now I want to try it haha. That looks incredible! Yum, yum, yum! Oh man. Those oysters are seriously making my mouth water. I ate lots this past weekend that were raw! Love love love 'em!!! If ONLY I lived in Southern CA! Oh goodness, everything looks delicious. 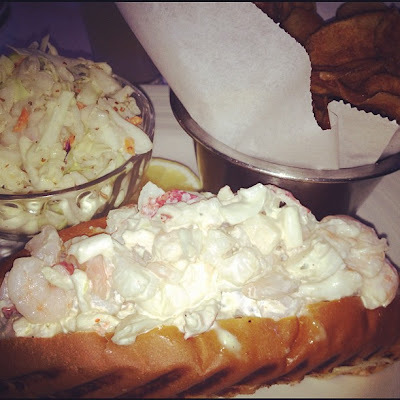 I'm going to have to make lobster and shrimp rolls again soon. i love oysters...and lobster...and ahi tuna burgers!!! Oh my - those look SO good! I had oysters for the second time ever this weekend too! What are the odds? !